Bensenville police and firefighter/paramedics responded about 9:30 p.m. Sunday, June 18, 2017 to a report of a stabbing in the block of 700 Parkside Lane. Police discovered Olivia Renteria-Bravo unresponsive and lying in a large pool of blood outside her apartment with witnesses trying to help her. Olivia appeared to have been stabbed once in her right chest, once in her right torso near her rib and once in her right biceps. Renteria-Bravo was transported to Elmhurst Hospital where she was pronounced dead. Bensenville police, the DuPage County Major Crimes Task Force and the Elgin Police Department assisted in a homicide investigation, and a 27-year-old Des Plaines man has been charged in the Sunday stabbing death of a Bensenville woman. Victor Tornez-Sanchez is being held on $250,000 bail, charged with the first-degree murder of his former girlfriend, 32-year-old Olivia Renteria-Bravo. Police traced Tornez-Sanchez, a male/Hispanic 5’6″ 180 LBS, to Chicago after the killing where he bought a new cellphone and created a new Facebook account, which he used to contact his sister. Police said Tornez-Sanchez told his sister he needed to “arrange to get money because he needed to go to Mexico.” He was then traced to Elgin, where he was arrested Monday June 19, 2017 as he got off of a train. Prosecutors say that Victor Tornez-Sanchez waited in a vehicle outside Olivia Renteria-Bravo’s apartment Sunday night on Parkside Lane. He waited for her to return from a date with her new boyfriend. Police say that when Renteria-Bravo got out of her boyfriend’s vehicle, Tornez-Sanchez ran toward her, stabbed her three times and fled. Court records show that Olivia Renteria-Bravo had an order of protection against Tornez-Sanchez after a June 2015 domestic violence case in which Tornez-Sanchez allegedly punched Renteria-Bravo and hit her pregnant sister in the head with a wood part from a crib. 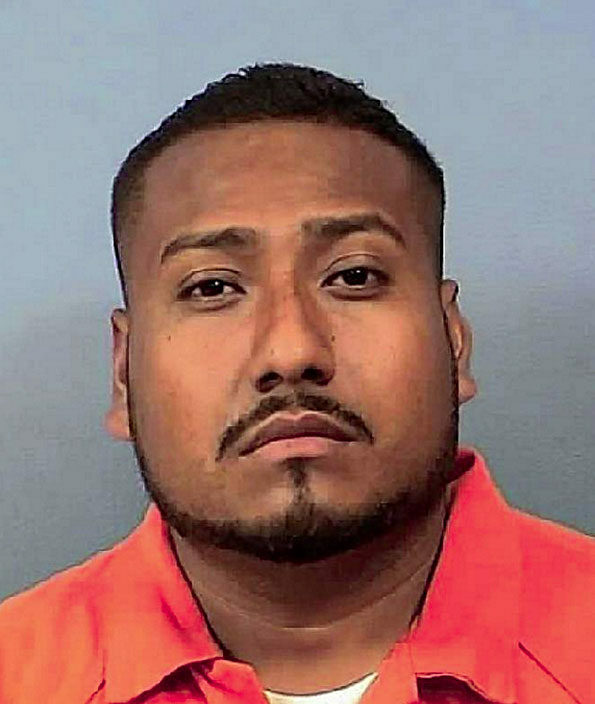 Tornez-Sanchez also has a criminal history of three domestic violence cases in Cook County. The next scheduled court appearance for Tornez-Sanchez is Thursday July 6, 2017 in front of Judge John Kinsella in courtroom 4000.